If you are thinking about getting married in Mallorca, in Moments we want to help you to make everything perfect on that day. Such a special date, a party that remains for the memory throughout life, has behind it many hours of organization and coordination. We will take care of everything so that you only have to think about having fun. Thanks to our experience, you will have at your fingertips the best mallorca wedding venues, but also a team of specialists with extensive experience in this sector. In this way, there will be nothing that we can help you with. You just have to tell us your likes and desires. We will do the rest always in coordination with you. The wedding of your dream is possible! 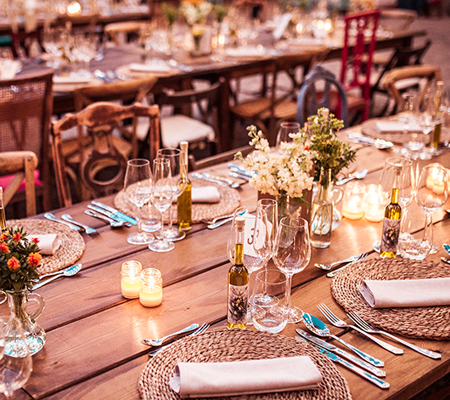 Catering, invitations, music, photographer, transportation … Absolutely everything you need. At Moments we are more than a company specialized in weddings. We want to become your best companion during the months leading up to the celebration. We will help you and advise you on the best options. What more could you wish? If you want to get married in Mallorca in a perfect, romantic and unforgettable way, do not hesitate and choose Moments. Do you opt for the sea or the countryside? Whatever your decision, with us you will find the best properties for the celebration. Ideal sites for the banquet is where you can enjoy such an important day. In weddings organization we have no rivals. We offer you more than just a simple wedding planning in Mallorca. We put at your disposal a professional team of specialists. In this way everything you wish will come true. Don’t waste time and trust Moments. We are looking forward to helping you on such a special day for you and your partner. We are looking forward to welcoming you! At Moments we can also organize weddings at Son Marroig. As a specialist wedding company we are able to offer you the choice of celebrating your wedding in the emblematic Northwest of the island. A unique location renowned for its beauty and stunning landscape. If you do not yet know it, we recommend you take advantage of this opportunity! We offer you the most exclusive locations for your wedding day. Stunning landscapes, views and beautiful surroundings are just a few of the wonderful characteristincs of the estates we offer for weddings. Whether you want a backdrop of bucolic countryside, dramatic mountain or calming seascape, we can provide it. Do not hesitate and ask us to organise your special Majorca wedding. You will not be disappointed.